Near the end of April through to mid May these flags can be seen throughout Japan. These flags symbolize the birth of a baby boy in the family. 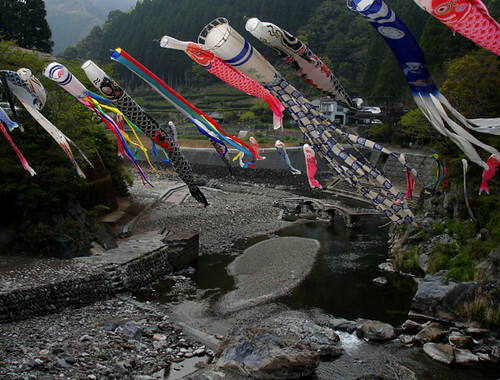 Ironically in the rural areas of Japan where depopulation is a growing concern, these fish flags are abundantly displayed. During our Golden Week holiday we spent most of our time at a climbing area in Oita Prefecture called Hachimenzan. The climbing was fun although not exceptional. The highlight of the area were the hotsprings and the abundant bird life around our tent. 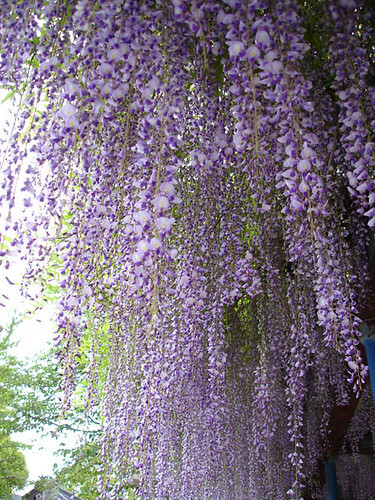 It's a beautiful time of the year with flowers blooming, especially Wisteria flowers which are common at many rest areas and tourist traps.